Amazon filed for a patent on Tuesday that anticipates a future where users simply smile for the camera to authorize an online purchase. It begs the question, Why isn’t Microsoft already doing this? Amazon’s patent in question simply uses image-authentication technology to identify the user, with some motion thrown in to verify the user is alive and well and not a photo-identical mannequin used to fool the system. 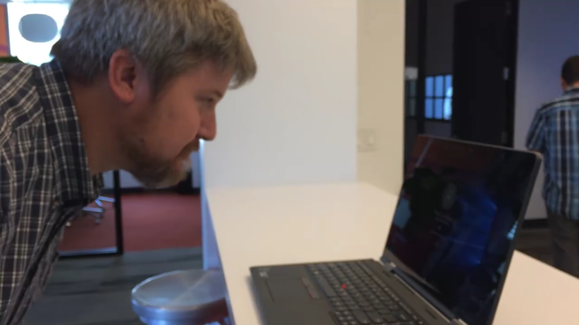 It sounds very much like… Windows Hello. Windows Hello, of course, is the biometric authentication mechanism that Microsoft has built into devices like the Surface Book and Surface Pro 4, and (less effectively) into the Lumia 950 series of phones. The company has touted how effective the technology is—capable of even distinguishing between twins—as a secure PC login tool. This is how Amazon’s selfie patent would work, as demo’d using Windows Hello. Why this matters: Windows Hello was supposed to be the mechanism for authenticating a user around the Web, in a system Microsoft called Passport: The Hello technology would generate a secure token that the operating system would pass to websites to eliminate the complexity of typing in multiple passwords. By eliminating this “friction,” Microsoft predicted that its authentication system would lead to more sales. So far, however, it appears that not a single website is using Passport. 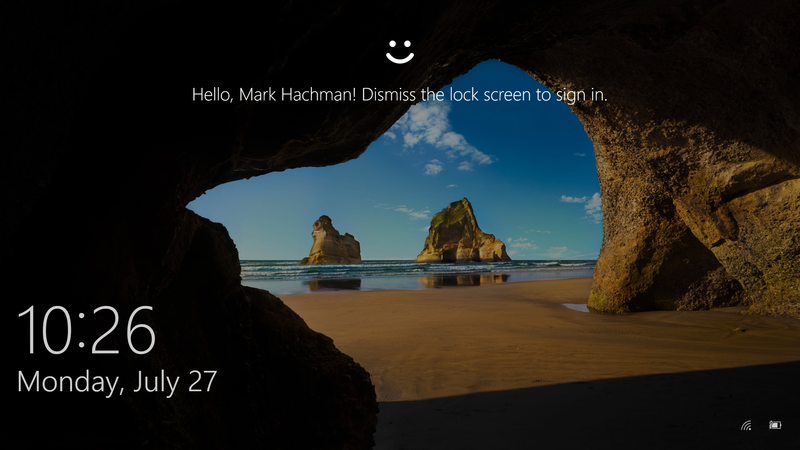 At this point, only a single Windows 10 app is using Windows Hello as a means of authentication, and it hasn’t even been made by Microsoft. Instead, it’s found in the Dropbox Windows 10 app, which offers the option to log in by Windows Hello face or fingerprint. Amazon has simply filed for the patent, so there’s no guarantee it will ever bring the technology to market. But quite a bit of what the patent covers is already part of Microsoft’s capabilities: The depth cameras in the Book and SP4 already offer the added security of scanning your head, as well as your face; and the Kinect technology that underlies them can clearly interpret a wink or a nod. Again, the point is that I’m seated at a computer that already has these capabilities built into it, but they aren’t being utilized. Meanwhile, Amazon’s Alexa technology is quietly moving closer and closer to becoming the digital assistant, if not the personal shopper, of the masses. Microsoft’s BUILD conference is taking place at the end of the month, and one of Microsoft’s 2016 priorities is to beef up up its app store. Wowing online shoppers by making Amazon’s vision a reality would be a good first step.